How to categorize a mix of jazz-fusion, funk, and experimental punk rock? Don't bother! 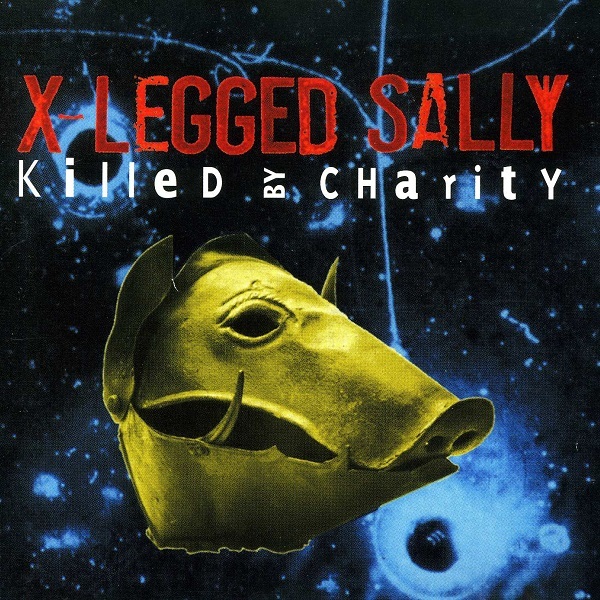 Pigeonholing X-Legged Sally is like trying to convince Bob Fripp to play 12-bar blues. It probably could be done but wouldn't be worth the effort involved. Produced by Bill Laswell, this band features heavy guitar riffing and wailing leads, a prominent horn section, and bizarre rhythmic complexities. The punk-like vocals seem to conflict with the jazzier horn blasts, while the metal-ish guitars counterpoint the piano and keyboard textures. A strange mix indeed. The compositions are very tight, and perhaps a bit predictable, yet they vary from all-out chaotic jams to simple rhythms overlaid with riffing and vocals. A modern band, the sound is very digital and maybe even clinical, yet the band manages to evoke a relaxed, informal air. Comparisons? Hard to say. There is more than a hint of Material (no doubt due to Laswell's presence), but their influences are so diverse, it is hard to nail down where their ideas came from. While everything on the album has a familiar feel to it, I don't think anyone has managed to put together these particular styles in such a way before. An interesting release from a promising band.